Information about the brand, series, model and model aliases. Information about the main characteristics of the display - panel, backlight, resolution, refresh rate, etc. 3D displays use various technologies to achieve a 3D effect. Each of these technologies has its own advantages and drawbacks. Information about the horizontal and vertical refresh rates/frequencies. Information about the power supply and consumption, energy efficiency class, etc. Information about the dimensions and the weight of the specific model with and without stand as well as the colors, in which it is offered to the market. Information about the ergonomic functions - height adjustment, swivel angles, tilt angles, etc. The TV tuner is a device, which allows the receiving and visualization of a certain type of television signal. There are tuners for digital, analog, cable and satellite television. Information about the central processor, graphic processor and the memory of the model. Smart TV sets have operating systems, which in terms of functionality and universality bring them close to the computers. Information about the audio system - number and power of the built-in speakers, supported audio technologies. Many contemporary desktop monitors and smart TV sets have built-in cameras. Supported network technologies and standards for exchanging data with other devices. Available connectivity ports, slots and interfaces. Some additional functional features of the model. 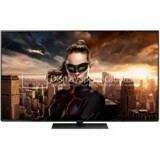 Smart TV sets allow the display of different image file formats. Smart TV sets allow playing different audio file formats. 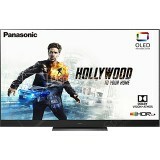 Smart TV sets allow playing various video file formats. There are certain requirements for the environmental conditions, in which the display should be used and stored in order to function properly. Often the packaging of desktop monitors and smart TV sets includes accessories for them. The information on this website is provided on "as is, as available basis" without warranty of any kind. DisplaySpecifications is not responsible for any omissions, inaccuracies or other errors in the information it publishes. All warranties with respect to this information are disclaimed. Reproduction of any part of this website in its entirety or partially or in any form or medium without prior written permission is prohibited. The trademarks, marques and logos of the manufacturers of devices, software, hardware, etc. are the property of their respective owners.